Sweater of champions! 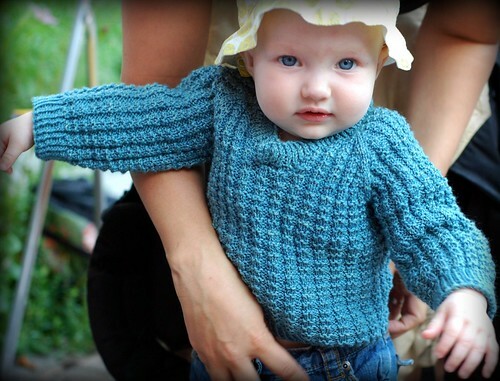 Clad your baby, toddler, child or youth in this fun, easy to knit pullover. 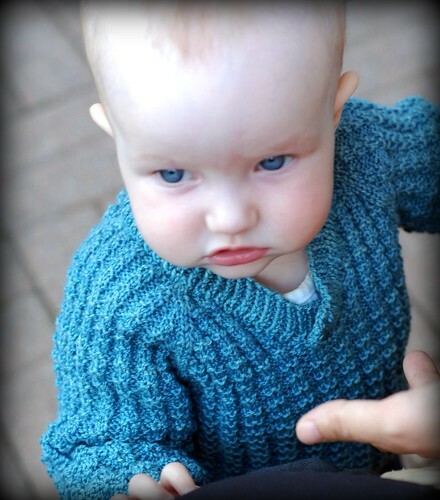 Knit from the top down, raglan style, in a stretchy and easy to memorize waffle stitch pattern, Waffles also features twisted rib details and an optional button placket collar. 5 page PDF pattern with abbreviations.